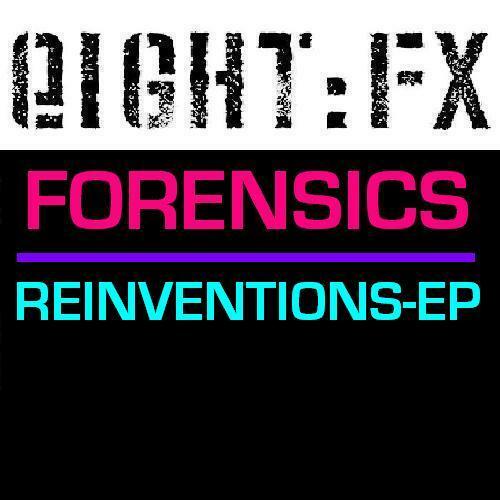 The new skool of dubstep rave is in session with Eight: FX presenting four remixes of Forensics 'Reinventions EP' from brand new producers. Wrexile's mix of 'Endless' hangs on the swinging halfstep tip while Kuoyah's mix of 'Headful Of Cloud' goes deeper with micro-fine 2-step rhythms and swirlign synth pads. Grooki refixes 'Midnight Sky' as a gloomy halfstepper reminiscent of Cyrus or Distance and Tommy Lexxus hears 'Shelter' as an electroid dubstepper. Ace.